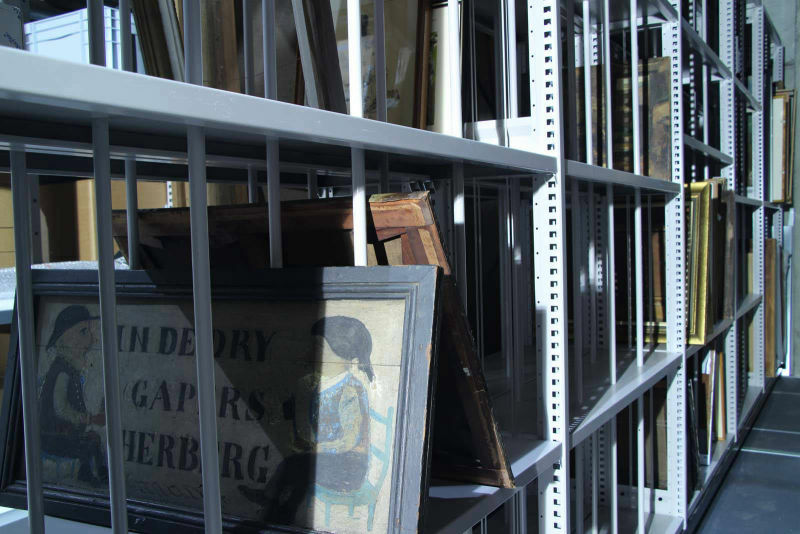 IPARC provides a state-of-the-art storage facility for art and heritage collections with a professional portfolio of collection services: ARTPORT, located in Kampenhout, Belgium. Over 2000 m2 storage provides both affordable solutions as well as tailor-made secluded storage spaces depending on collection and customer requirements. The storage facility is located next to IPARC’s conservation studios. With this unique one-stop-shop combination of collection services and storage facilities your collection will be closely monitored by consultants preventive conservation and specialized conservators. This storage is equipped with storage facilities for 2D- and 3D-objects. Taking care of collections is our core mission. Talk to us to find out how we can build a sustainable solution around the management of your art collection! The art storage facility, ARTPORT, is located in Kampenhout and is only a twelve minute drive from Brussels airport and thirty minutes from Antwerp. ARTPORT consists of 2000 m2 storage space and lies adjacent to the restoration studios and laboratory of multidisciplinary conservation company IPARC. The storage buildings each have a minimum height of 7 meters. The storage facility is designed following the RE-ORG guidelines to minimize the risk of future damage and deterioration of art works. The storage of art works may be both short or long term and is also facilitated for emergency storage. Storage space is available in private zones or shared per collection or type of material depending on the size and customer requirements. The separate zones can be optionally equipped with a personal entrance. The building was inaugurated in 2016 and is equipped with a climate control system, and the necessary alarm and prevention systems according to the most recent guidelines. 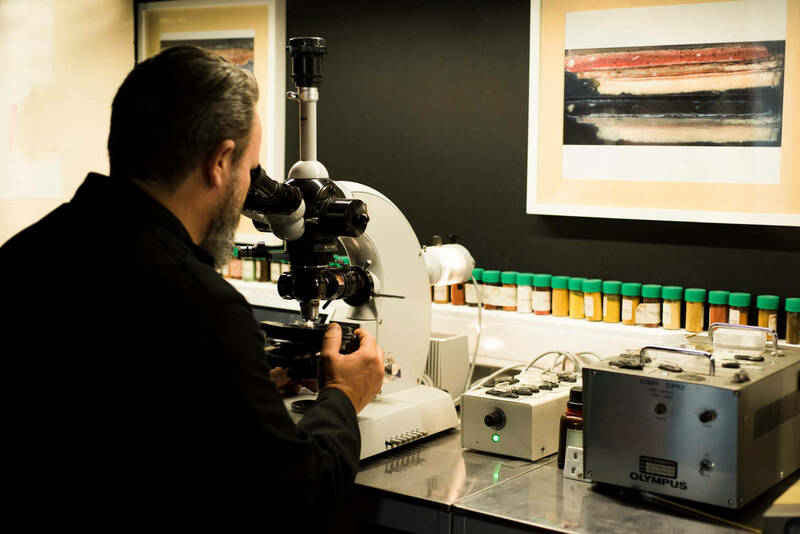 IPARC’s conservation team on site offers integrated conservation, restoration and IPM services, enabling collection owners to save on art handling and overall overhead costs. 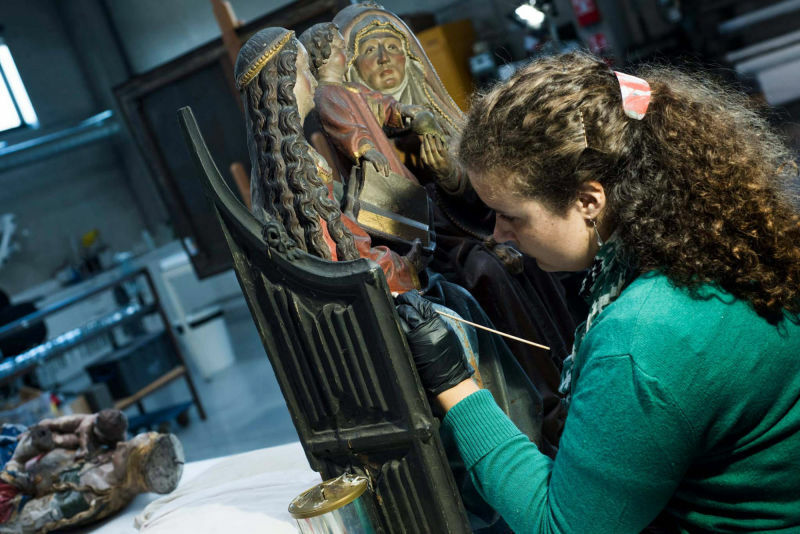 All research and treatments are executed by qualified conservators with a Master’s degree in Conservation-Restoration. The department preventive conservation focuses on the indirect care of an object to minimize the risk of damage and material deterioration. We strive to preserve your art works by storing them in the most stable and secure storage environment possible. 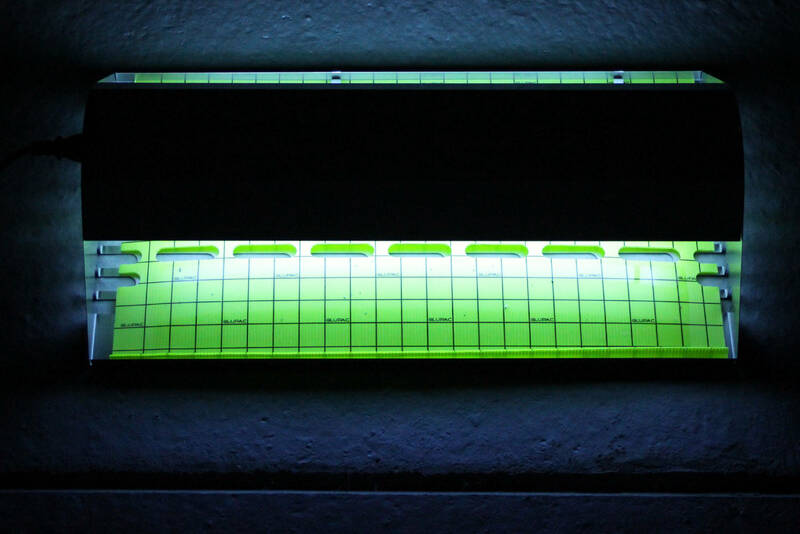 Our storage is a temperature and humidity controlled facility that is constantly monitored with online data loggers. Our HVAC-system setpoint is fixed throughout the year at a temperature of 18°C and relative humidity of 55%. The result is a climate that has maximum daily fluctuations for T are 2°C and 5% for RH. There is a seasonal change of +/-5°C for temperature only. This climate corresponds to the ASHRAE guidelines class A. •	Other objects: no risk. There is no influence of daylight and the artificial light sources are free of UV- or IR radiation. Light sensitive objects can be protected from incident light or dust upon request. Integrated pest management (IPM) is provided by means of UV- and sticky traps and regular bug checks. All collection objects are monitored on a monthly basis. The free spaces in between storage racks are dry-cleaned monthly. ARTPORT pursues sustainable collection preservation by allowing acceptable seasonal changes in climate control and meticulously recycle packaging material to a maximum extent. Also, by preserving collections in stable collections the amount of necessary conservation treatments is reduced. Art handling services are available. ARTPORT ensures objects are moved with the greatest possible care by trained art handlers. 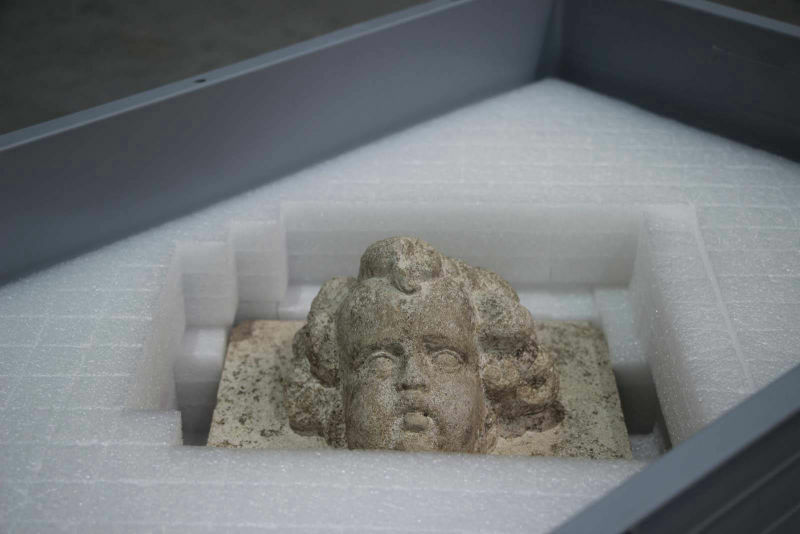 Museum quality archival materials, customized packing, framing and crates complement the offer. 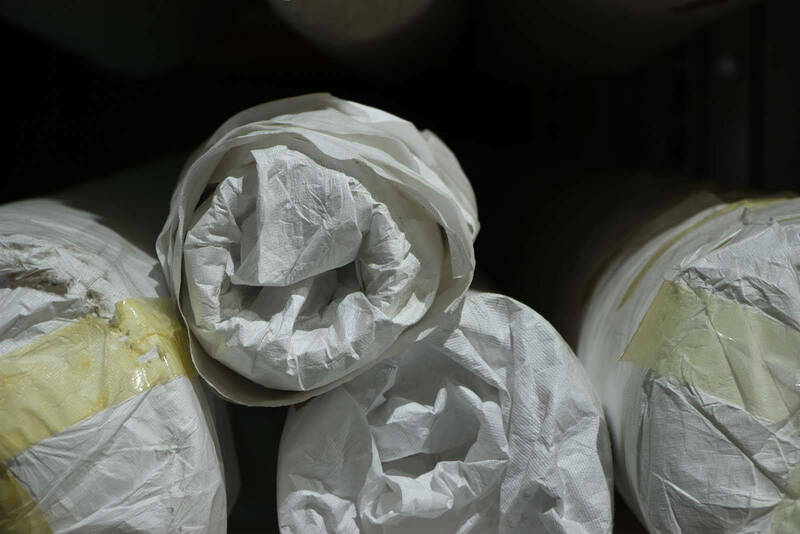 As much as possible, inert materials are used for packaging and storage (PE pallets, Tyvek, bubble wrap, Ethafoam, cotton pillowcases with Styrofoam filling in PE boxes and many more). 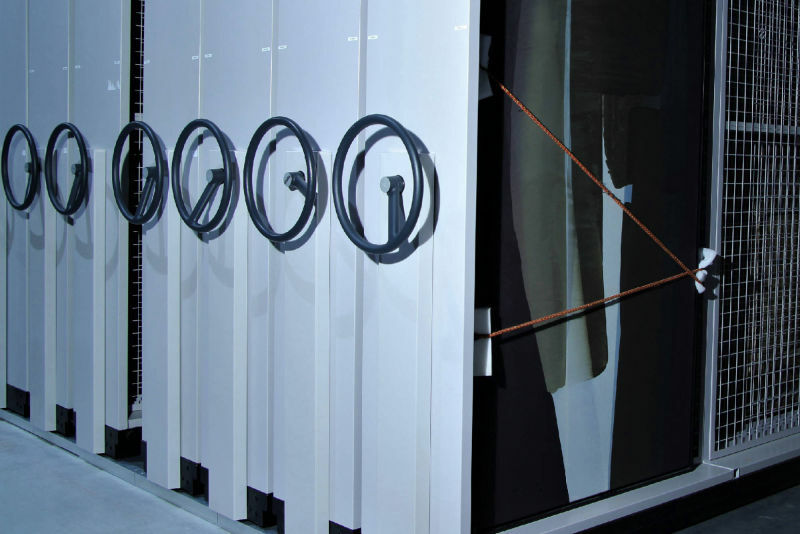 Art transport is available with our air-suspended, insulated truck with a volume of 28 m3. All transports are accompanied by staff members-conservators with a specialisation for the objects in transport. Transports of large collections are outsourced to a qualified transport company. The selection of the transport company remains the discretion of the client, although IPARC is happy to advise in the matter. For in-house moving of objects a pallet jack, electric stacker or forklift truck will be used. On request the collection can be unpacked before placement in the storage facilities. Also, objects can be protected from incident light and falling dust by covering the objects. •	The client will be notified of any abnormalities during packing or storage. Art works are always inspected upon their arrival or can be subject to yearly checks depending on collection requirements and/or customer needs. Condition checks and reports are handled by IPARC’s conservation team and works are released only in case of no infestation to eliminate any risk for contamination. In case infestation is detected, work(s) are treated by a trained IPM (Integrated Pest Management)-conservator with warm air and regulated humidity in the Thermo Lignum chamber on site, a certified method for ecological insect pest eradication; or with another method should the work require otherwise. The maximum capacity of our chamber is 30 m3. Collection owners are closely and discretely involved when treatments are deemed necessary. * The storage space can be equipped with tailor-made equipment. This option is available depending on the type of storage method and the rental period. Price available on request. 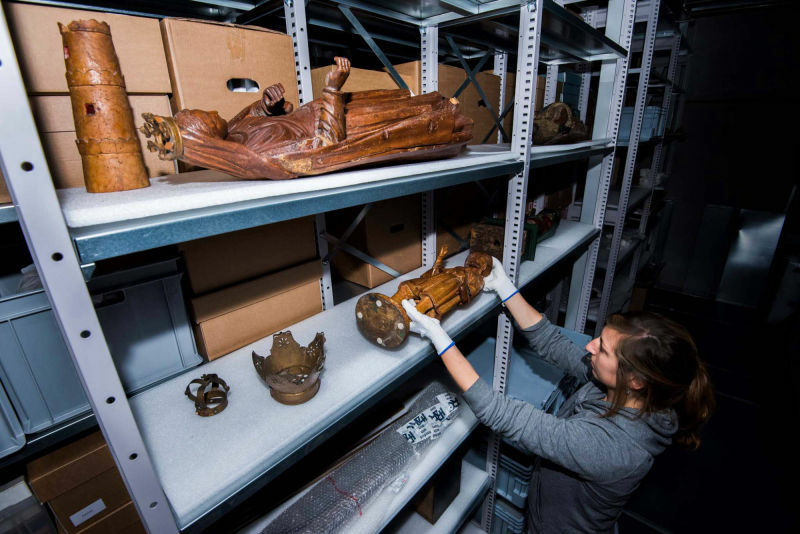 The conservation studios of IPARC are available on-site and IPARC staff members offer services that may be relevant for the preservation of the collection. On-site thermal insect treatments (against e.g. silverfish, moths, bugs and woodworms) in the humidity-regulated warm air Thermo Lignum chamber or freezing. ARTPORT is happy to accommodate viewings for your collection. In a specially designed room objects can be displayed temporarily to show your artworks to conservators, visitors or clients. Based on our 20+ years of experience in conservation we have learned that damage can be prevented by monitoring the climate and ensuring correct and stable climate conditions. By performing continuous measurements and disclosing data via the SmartCare app we put you in control of the condition of your works. And our conservators’ eyes are on your collection’s climate conditions continuously. Meet SmartCare, a small and discrete plug and play datalogger without SIM card or network registration, to use at home, in your storage facility, museum or gallery. The datalogger is connected to the wireless LoRa network and has a 24/7 uptime. The loggers can even keep in contact during transport. The data is available via an online platform on a personalized software (iPad) for collection management purposes. IPARC offers assistance on site with the placement and installation of the loggers, follow-up of monitored data and provides analysis of data -at defined intervals or when an incident occurs- by trained conservators specialized in the type of works being monitored. IPARC – in full the International Platform for Art Research and Conservation – is a versatile, multidisciplinary conservation and restoration platform which was set up by five partner-shareholders at the end of 2011. At that time they each had a career of more than ten years as self-employed restorers in their respective disciplines. IPARC is a cooperative company that thinks very highly of democratic decision-making processes, and is very much in favour of using the know-how and experience of the founding partners. In order to achieve the highest quality standards IPARC only works with graduated Masters in Conservation Restoration. In addition the team is regularly reinforced by freelancers for specific subdisciplines or projects. Our conservators are specialized in the conservation and restoration of modern and contemporary art objects, paintings, polychromatic sculptures, art works in stone or stone-like materials like plaster, textile, metal, wooden objects and furniture, paper and visual media. IPARC strictly follows the ICOM and ECCO guidelines when completing conservation and restoration assignments (www.icom.museum, www.ecco-eu.org). Training and life-long learning are central for both the cooperative shareholders and employees. The creation of sustainable employment and an open work frame for young graduates. The idea? Offer them a place to work where coaching and transfer of knowledge come first. This is how the transfer between generations takes place in a coordinated manner and the know-how is sustainably ensured for the future. On the road to employment IPARC also serves as training place for universities and university colleges which offer the Master in Restoration-Conservation in Belgium and abroad. Promote the cooperation and exchange of knowledge between the different disciplines by means of a 360° methodological approach. Offer qualitative and well-founded restoration and conservation methods. All this based on a commercial structure where the heads of the workshop monitor both ethics and quality for each discipline. Grant collection services to public and private collection managers, in view of the continuity of their operations and, where possible, interactively and through cooperation models. The environmentally controlled and secured storage facility ‘ARTPORT’ is situated in Kampenhout (Sas). The storage spaces are located adjacent to the restoration studios and laboratory of multidisciplinary conservation company IPARC. All storage spaces can be entered via a loading dock. The site is not located in a risk zone (flooding, air traffic, ...). The collection services by IPARC-staff members are available on weekdays from 8 am to 5 pm and on weekend- and holidays on request 48-hours in advance. The storage facilities are accessible on weekend- and holidays, or at night in case of emergency. Thanks for your interest in ARTPORT, we'll contact you soon!